Microsoft’s upcoming digital assistant, “Cortana,” will reportedly allow users to specify what she does and does not learn, according to a report. The Verge reported that Cortana will tap into information such as location data, behaviors, personal information, reminders, and contact information, which will be stored in a “Notebook” that the user will be able to peruse. The site also reported that users will be allowed to specify what information is collected, a level of control that goes beyond comparable assistants, such as Apple’s Siri and Google Now. 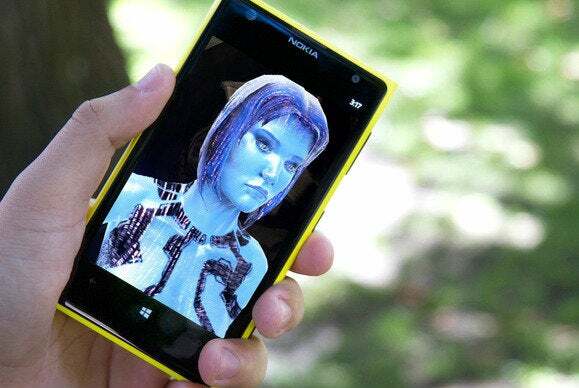 Cortana will reportedly be released as part of Windows Phone 8.1, said to be released around the same April timeframe in which Microsoft will host its BUILD conference. (Here’s all we know about Windows Phone 8.1 at the moment.) Windows Phone’s Action Center—the name reportedly given to its notifications—was recently leaked. Cortana will reportedly “listen” for conversations and other information where Bing and/or Cortana could be of assistance, a feature the Microsoft’s director of Bing search, Stefan Weitz, first began describing to PCWorld less than a year ago. Behind the scenes, Microsoft has been busy developing what it calls its Satori knowledge engine. Satori’s goal, Microsoft says, is to build the “world’s largest repository of knowledge” for Bing to tap into, always there to provide assistance when asked. Cortana is described as a “bouncy circle” that will apparently express emotions in some way—again, a feature that rival Nuance is hoping to exploit by building digital assistants that “love” their users. So far, the Windows Phone experience has struggled just to meet the bar set by rival platforms. With Cortana, it appears that Microsoft hopes to clear it, and establish a leadership position among digital assistants.